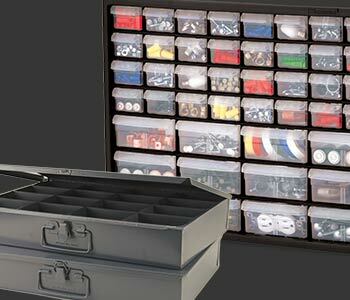 Organize your closet, shop, garage, basement, and more. PaulB Hardware stocks all sorts of bins and organizers, free-standing shelving, pegboard hardware, brackets, storage bags and labels. Plus, we have banding and stretch wrap to keep things in place.